In baseball, “Bull Durham,” teaches us, “Sometimes you win, sometimes you lose and sometimes it rains.” In softball, the Congressional Women’s Softball Game teaches us, “Sometimes, you win, sometimes it rains, and you always raise money for a good cause.” And so the 10th annual slugfest is in the books, with a 5-0 victory by the Bad News Babes press team over the members of Congress. 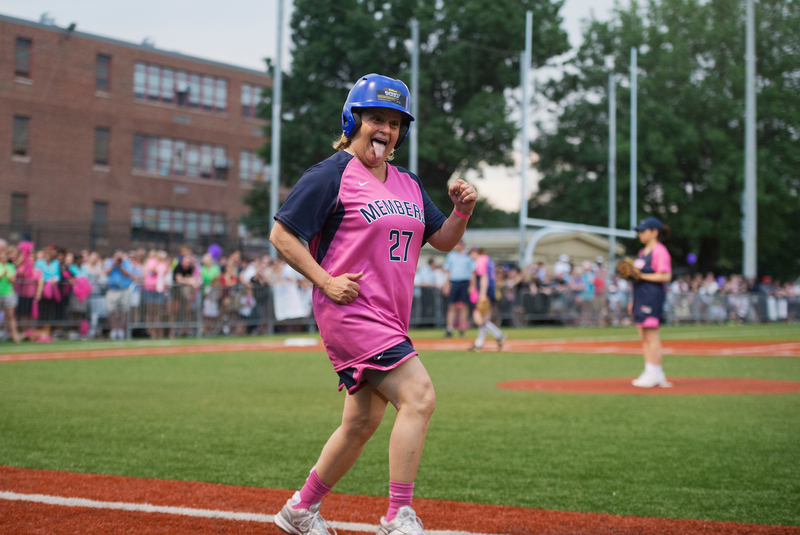 “I do treasure my image as someone taking a charity softball game possibly a little too seriously,” says Texas Tribune Bureau Chief Abby Livingston, a mainstay of the annual contest. But really, what else are charity softball games for? And so on Wednesday, at the end of a day marked by confusion in Congress and rancor in the White House, members of Congress and the press trekked to Watkins Recreation Center on Capitol Hill, batted the ball around, raised upwards of $320,000 for the Young Survival Coalition, hung out and spread some good cheer. Before rain hit and the game was called in the fifth inning, Roll Call senior political writer Bridget Bowman made history with the game’s first home run, a three-run shot. The first basewoman was named MVP for the press, celebrating alongside GOP Rep. Mia Love of Utah, who took top honors for the lawmakers. When any 10th anniversary rolls around, people tend to think about it a little more. Unclear why this is different from a ninth anniversary or 11th, except maybe for just the human proclivity for grouping things in 10s. This could, though, be a milestone year, according to Livingston, if for no other reason than we could be looking at a record year for women at the ballot box and an influx of young softball players, coupled with a few key retirements. Coming not even one week removed from the Congressional Baseball Game, it’s easy to compare the two contests. Both games raise a lot of money for charity. 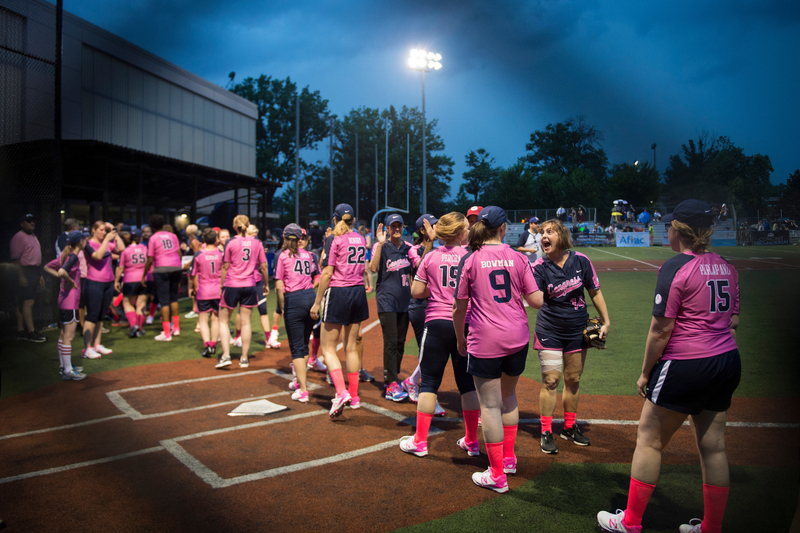 The baseball game, while technically co-ed, has only a few female members play, including one, Love, who plays in both games. The members’s softball team is bipartisan, although there could be enough female members in both parties in the next Congress to field two teams, according to Livingston. The baseball game itself is long, really long, kind of like professional baseball. Long and sometimes, owing to the skill set, a bit comical. The softball game zips along, perhaps because of different rules on pitching, and is over before anyone starts looking at her watch. Rain has hastened the end of both games in the recent past. The baseball game, played at Nationals Park, is starting to feel more impersonal. More rules, less access, more attendance. The softball game, played in more cozy environs at a public rec center, is up close and personal. But, as Livingston says in the podcast, we could be entering a new phase, with a big election around the corner and more awareness of the game itself. Everything changes. But in the meantime, it is easy to revel in a fun contest that provides a break from the rants and raves of everyday life in today’s Washington.